With rich industry experience and knowledge, we are engaged in the business of manufacturing and supplying Portable FRP Cabins. This cabin is tested in terms of quality in order to dispatch a perfect range at customer's end. 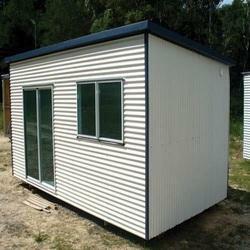 This cabin is manufactured by finest material keeping in mind the all industry standards. We offer this cabin on numerous customized options for meeting the demand of customers. 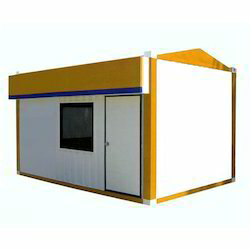 Being a client centric firm, Anchor Container Services Private Limited provides its customers with high quality Prefabricated Portable Cabin. These cabins are designed by our designers very carefully after understanding the requirements of the customers. We make the judicial use of the available space and make the place look bigger. The most attractive feature of these cabins is their classy look which attracts every ones attention towards them. They are provided to our customers at very reasonable rates and within the promised time frame. 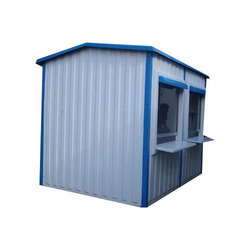 These Portable FRP Cabins are broadly used for development site offices, construction site offices and many more. These products are available in standard and custom designs and these cabins are rapid fix for various imperative needs of different commercial and office establishments. We trade these Porta cabins which are designed to meet the customer demand for quality, accuracy and reliability and have a really effective heat & sound insulation. 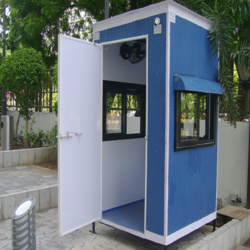 These office cabins are highly secure and are designed as per the requirement of the customer. Looking for Portable FRP Cabins ?